MILFORD, Ohio -- If you feel like playing laser tag or miniature golf... or video games... or racing go-carts or crashing bumper cars, or bowling, or grabbing a burger or a beer this weekend -- any of these thing, or maybe all of them -- you’re in luck. It’s the grand opening weekend for Scene75 Entertainment Center Cincinnati, where you can do all of the above. 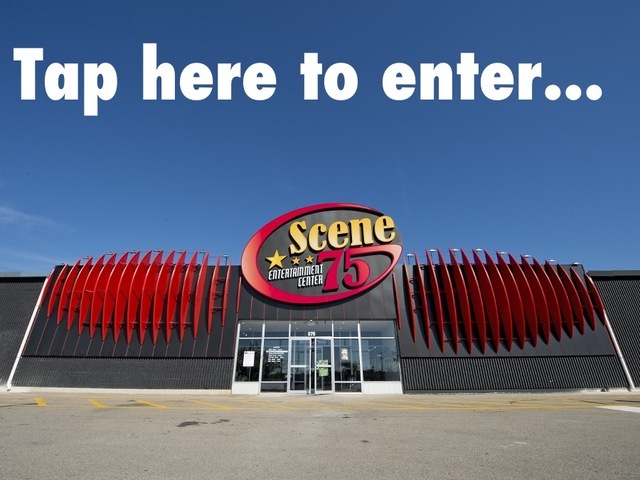 Scene75 Cincinnati, located at 876 Ohio 28 in Milford, actually opened last weekend, but is staging its opening celebration this weekend with $30,000 in gameplay giveaways today through Sunday. If you're owner Jonah Sandler, you look at Scene75's myriad options and see the tip of the iceberg. It's the second location for Sandler, a 2000 Sycamore High School graduate; the original 124,000-square-foot Dayton location opened in 2012 and last year was named Best Family Fun in Ohio by Ohio Magazine. But in a landscape dotted with other dining/gaming megaplex options, Sandler, a former investment banker and management consultant, aims to stand out by reaching higher. "A community has a lot of needs to fill," Sandler said, "and we see ourselves as a community center, and not just an entertainment center." That's why Scene75 stages speed-dating events. It's why Sandler speaks at colleges and sponsors learn-to-earn initiatives. It's why the Cincinnati location will have indoor trick-or-treating next month (that drew some 5,000 people in Dayton), and breakfasts with Santa and breakfasts with the Easter Bunny. "We cater to all ages, toddler to grandparent," Sandler said. "The attractions are just a part of what we are and what our business model represents." Full service bar and grill with patio, and full center bar with cocktails, beer, wine and appetizers. The first 1,000 guests each day this weekend will receive $10 in free gameplay, and a birthday party raffle will be held each day. Also, the highest laser tag score on grand opening weekend wins an Xbox One, and the first birthday parties were booked for Saturday. The new location also has created 175 jobs, and Sandler said he was pleased by the early turnout. "We've seen thousands of people already, and lots of smiles," he said. Scene75 Cincinnati is open to the public Tuesday through Sunday at 11 a.m. and closes at 11 p.m. (1 a.m. Friday and Saturday). Monday and Tuesday are reserved for private facility rentals.